Thousands of supporters of jailed opposition leader Alexei Navalny protested across Russia on Sunday against planned increases to the pension age, with a rights group saying at least 291 of them had been detained by the police. The protests, which police sometimes broke up by beating participants with batons and dragging them away, were a challenge to the authorities who were hoping for a high turnout at regional elections also being held on Sunday, despite widespread anger over the pension move. 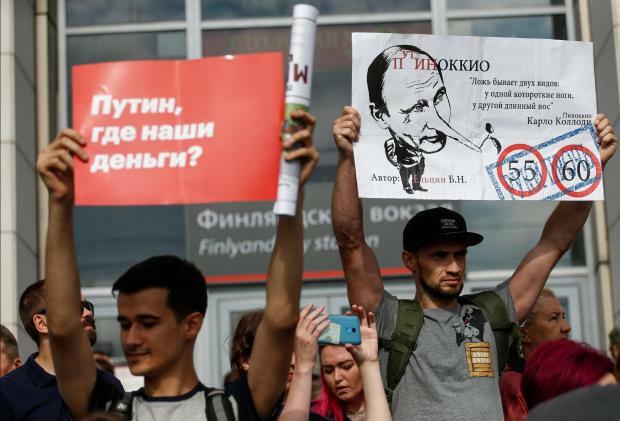 He had planned to lead a protest in Moscow on Sunday, but a court last month convicted him of breaking protest laws and jailed him for 30 days. Navalny said the move was designed to derail the protests which took place in more than 80 towns and cities, including Moscow and St Petersburg. OVD-Info, a rights organisation that monitors detentions, said 291 Navalny supporters had been detained by police on Sunday in 19 towns and cities, including some of Navalny's closest aides. 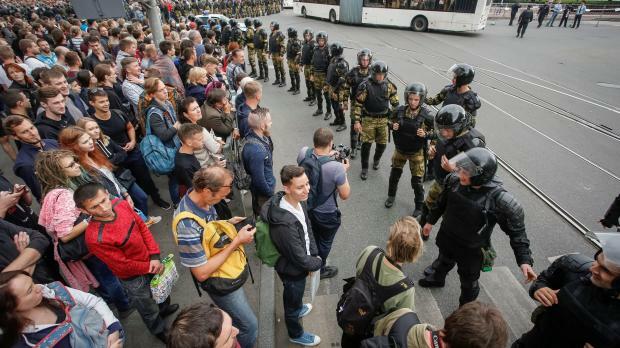 A Reuters witness saw police detain at least three protesters in Moscow.